Shining Soul: Overcome Your Past and Shine! Overcome Your Past and Shine! There are times in our lives that we find ourselves making choices we never would have before. Sometimes these situations, these decisions shoot us down another path in our life, one that up until now has gone explored. In a lot of cases, the reason for this is fear from prior programming. This term has been used before so I’ll just let you know what programming means to me. It refers to any teaching or belief that has been ingrained for many years. A way of thinking that is, in essence, a part of us. Everyone on this planet has been programmed, each of us in different ways. It can be the result of indoctrination or life experience. Often times we let this programming dictate how we live our life. And, don’t get me wrong, it’s not necessarily a bad thing. Certain aspects, however, may need to be let go of if it’s holding us back from being our true self, our shining soul, the person we are to be. Letting go is never easy. It carries the connotation of loss. When we think of losing something, it saddens us, it brings us down. The same is true with freeing ourselves of prior programming or mindsets. We might convince ourselves that by letting go, we are dooming ourselves to sadness. This is where fear holds us back. But what if the opposite were true? What if we found happiness outside of our regular parameters? Would that be a bad thing? We all live the best way we know how. Most of us strive to be law-abiding citizens and loving people, but what if we were taught that we can only be happy by living a certain way? These people could have implied, or even said this to you directly on numerous occasions? Maybe they never even had to verbalize it but it was something picked up by their lifestyle or course of action. Needless to say, when you’re in a relationship with this type of person, you do all you can to please them, to make them happy, because to you, that means that you’ll be loved. But loved for who you are, or for who they want you to be? How do you get from pleasing other people, freeing yourself of past programming and embracing your true life’s passion? 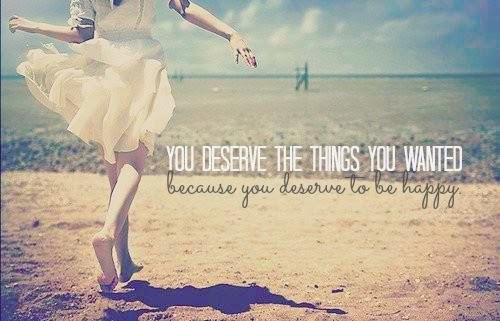 First step: Remember this, you deserve to be happy. Yes, that road may lead to some conflict, some relationships may grow apart—even very dear ones—but no one has the right to put a damper on your happiness. Never let anyone, or any prior belief, dull your shine.